Sorry, Ambrosia. You’ve been De-Throned. 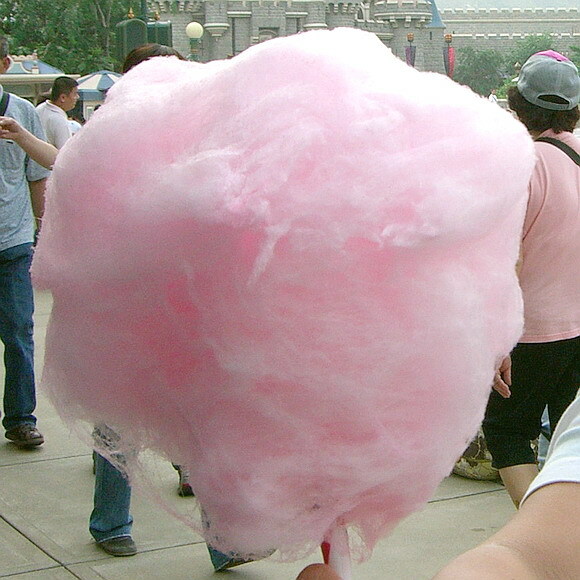 between the fried Twinkies and sugary dough. It’s hard to maintain a ladylike pace. a carnal delight, my pleasure to reap. others appreciated purely by ravers. which gets shared with no one because its Mine, all Mine! “Proof it just never gets old” potential fact: 80% of all pictures on the internet are of naked women. Potato salad is a sensitive topic. 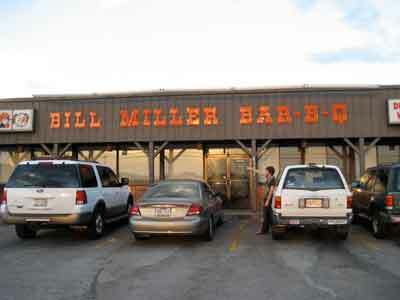 I would only like to note Bill Miller’s BBQ has the best freaking potato salad. Especially when I add extra sliced pickles so it’s practically swimming in juice. Pretty sure there is crack in it. Delicious. Try some today! Longevity trivia: Some olive trees can live up to 1500 years and beyond. Cheese, as my BF says, is my kryptonite. I am lactose intolerant and have been that way for most of my life. Lucky, after this much time, I know some tricks (going a couple of days without any cheese allows me to have a small bit, white cheese is easier on the stomach than yellow, morning is a bad time) and I appreciate that a) it’s not a milk allergy and b) my tummy only gets cranky and bloated. The majority of meals we make at home and I don’t use cheese in them. We have butter made with yogurt and dairy-free/ lactose-free cream cheese in the frig. I do have a major weakness for queso dip and ice cream; thank goodness for Lactaid and its generic cousins, which are also handy when dining at other people’s functions. Being a fussy guest is something I strive not to be therefore I carry those little pills at all times. Ultimately problems occur when I go out to eat in a chain restaurant. These places make me feel dirty in general and I try to avoid them (like a good foodie should) but sometimes these things are inevitable. The amount of lactose laden items on the menus of these places is overwhelming. I understand many, many people feel so strongly about cheese that they are cheating on their life partners with it. The public has made it a big hit. For a glimpse into the world of lactose fear however, here’s a menu breakdown from various online sources. Beware of items that list Cheese. That’s an easy one to start. Any item with the adjective ‘creamy’. Dressings such as ranch, Caesar, blue cheese. Getting these on the side means a pain free, yet dry meal. Many dips, especially warm ones, are creamy. Spinach & Artichoke for example. Queso – for any non-Texans, queso at its most basic is melted Velveeta and Rotel canned tomatoes. It can range from this to meat laden with every option in between but the base is always cheese, processed to greatness. Anything were a specific cheese is mentioned, i.e. Parmesan, Provolone or Cheddar. Even writing those made my tummy kind of pissy. There are some plusses though. Its has served a good excuse to not eat something that looks scary. It’s a helpful weight management aid, built right in. It allows me to be creative in the kitchen. So it is not all bad. Mostly just interesting. Support your local intolerants and serve some fruit! Today’s random trivia, courtesy of A.S.: There are 40,000 Chinese restaurants in the U.S., more than McDonald’s, Burger King, and KFC combined. The red truck is the taco stand by. 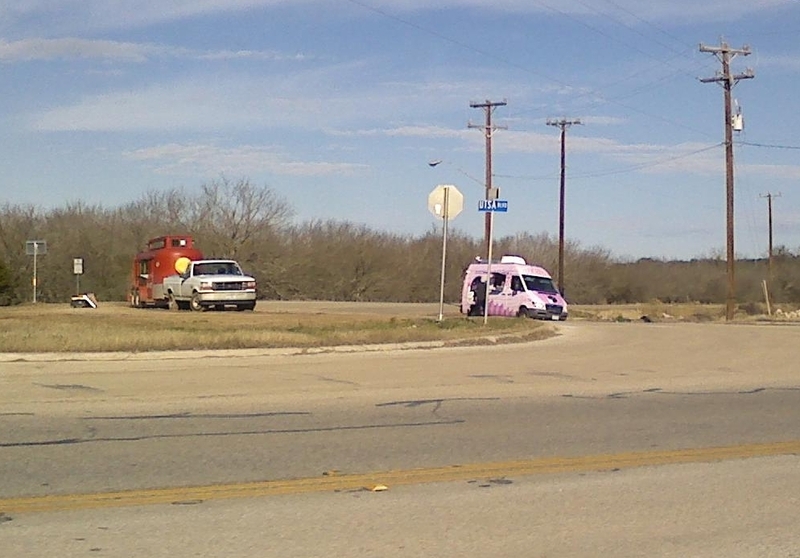 Guess what the pink truck is? It’s a Cupcake truck! Seriously. Oh man, I love tacos AND cupcakes. Fortunately, I’m usually on the other side of the road when I see these entrepreneurs. There are often runners at both stands though which confirms my belief that running really isn’t that healthy for you. Scurvy-preventing trivia: Lemon Pledge furniture polish contains more real lemon juice than Country Time Lemonade. 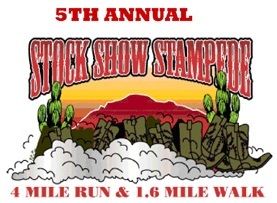 Saturday I participated in my last two rodeo events of the year: a 1.6 mile walk/ Stampede and volunteering at the Fajita Corral. The walk was an enjoyable jaunt with friends, the highlights being the exercise to justify my early morning chorizo/potato and bean/cheese/bacon tacos and the free Lone Star Light at the finish line. There nothing quite like quick walking in the cool morning sunshine with enjoyable company to a finish line stocked with beer and sausage wraps (due to the aforementioned tacos, I did not imbibe on sausage, which as loyal readers know, can potentially ruin my day). After a quick nap and lunch, I headed back to the grounds to volunteer with two buds at the Fajita Corral. Stationed at the execution point, I drifted between making beef fajita, brisket and chicken fajita tacos but mostly created chicken. Something to the tune of over 2,000 apparently. That’s Meat Grab, Pinch the tortilla, Roll into the foil, Tuck ends and Pass. Making this many tacos requires the basics of busy: standing for 5.5 hours, bathroom breaks which require sneaking out and a line of people continuously out the door. This was by far one of the most organized events I have volunteered and all the committee members were very appreciative. Ultimately my only complaint, minus the screaming feet and lower back, was the confusion with volunteer food. We made a WHOLE LOT of tacos yet no one could tell us if we could have one or if we had to pay/wait in line or received a (measly) dollar discount. I did really enjoy the people and fully support the scholarship behind it. Needless to say, Saturday was busy and fun and now its Sunday so I’m hibernating and writing my blog (two posts, yeah!). I-guess-I-have-to-quit-saying-its-Sarah trivia: Muhammad is the most common given name in the world. 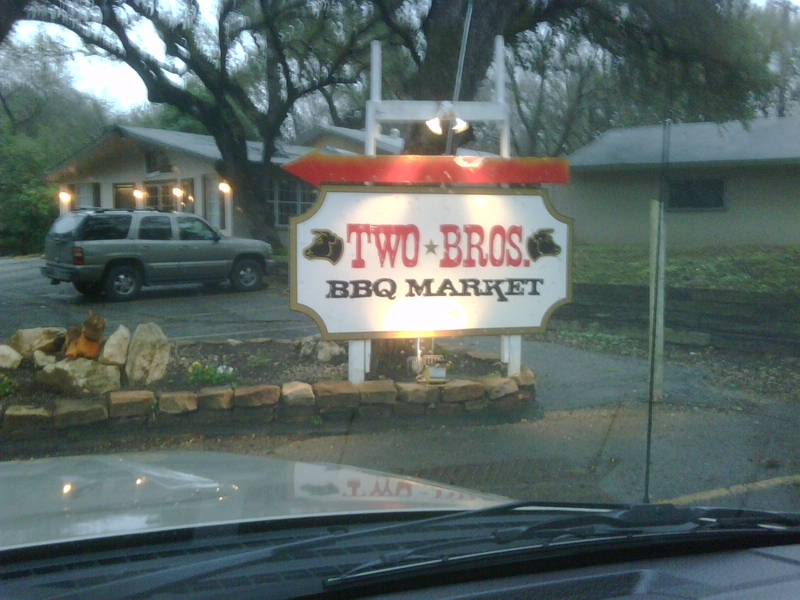 Two Brothers BBQ got another chance last week via a catered dinner party. I felt conflicted over the last review; although I do not retract any of my opinions, I did feel the place deserved a second chance since the general consensus tends to be positive. Also, I think consistency is a key element of determining bad as well as good. Therefore I try to get a second round if possible. First, here is their sign, courtesy of A.R. So, the high points were the brisket, which was not fatty and cooked well, and the banana pudding, which was as delicious as it should be. The meal itself came with brisket, chopped pork and beef, ribs, sausage, chicken, potato salad, creamed corn, beans and mac & cheese. The chopped items were good with bread and pickles with a bit too much, but to be expected, grease. The ribs were very meaty and tasted good but did not have an outstanding flavor. I put chicken on my plate but could to get to it without unbuckling my pants (which I had to do anyway). Potato salad was very mild and I had a difficult time afterwards remembering if it was potato salad or mashed potatoes. Beans were firm and tasty, while the juice was a thick, saucy consistency. Some people prefer that style, so I will leave it at that. The mac & cheese could have been a little more melty but it had a classic flavor that blended well with the rest of the meal. I did have a once bitten, twice shy moment with the sausage and creamed corn. These were serious lows of the last review. The reasons I did not try the sausage again 1) it looked the same as last time (squishy and greasy) and 2) bad sausage seriously ruins my day. I get all cranky and upset, vowing never to eat the meat in casing again. It’s best to avoid that whole situation. The reasons I did not try the creamed corn again 1) my plate was tipping the scales at this point and 2) I don’t have a thing for this side like others do so I just let it be. It still looked like corn with cream pellets mixed together. In conclusion, the food was better but some things were still unimpressive. I would definitely eat there again as there are some more unusual items I would like to sample. Stellar trivia: In France, The ‘Big Dipper’ stars are known as ‘The Casserole’.